Fall is my favorite time of year. I love coming up with new ideas to make my tables absolutely beautiful every time we sit down at them. I love decor and decorating. One Kings Lane is one of the sites I shop at a lot when I need to make my table even prettier. 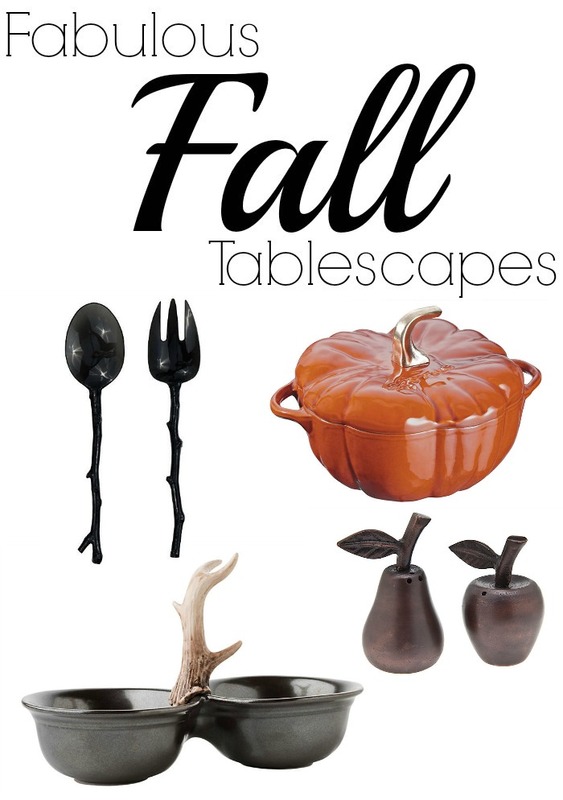 For some great ideas, check out my Fall Tablescapes below. 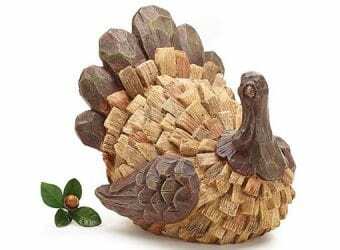 Then see below for how you can create your own tablescape this fall. Condiments get a well-deserved upgrade with this leaf-theme set, consisting of a salt shaker, a pepper shaker, and a relish or jam dispenser atop a gleaming holder. A timeless standby for stews, roasts, soups, casseroles, and other one-pot classics, this cocotte dish by Staub is a classic Dutch oven. The traditional design includes self-basting spikes for continuous, natural basting, distributing flavorful juices to all parts of the dish. The enameled cast iron transitions beautifully from oven to table (or buffet), and offers great heat-retention and durability. The smooth ceramic bottom is finished with a black matte-enameled interior that ensures even cooking. A classic necessity for every home chef! Staub's ceramic bakeware combines design with functionality and eco-friendliness. Produced in France of ecologically safe materials, their high-fired, chip-resistant dishes are made from a special clay allowing for even heat distribution, which in turn enables optimal baking performance, time after time. These fruit-shape crystal salt and pepper shakers will add to the bounty of your feasts. Detailed with an apple emblem, these tortoiseshell-style napkin rings add the perfect finishing touch to any soirée. Resembling hand-carved alabaster, this platter is beautifully crafted of smooth white glass into a charming pumpkin shape. Luxe gold detailing around the rim completes the design. A well-appointed addition to your coastal collection, these orange place mats are woven of rattan and finished with a puka-shell trim. Artfully embellished, these silver-plated pineapple shakers make for a charming housewarming gift. Contrasting stem colors differentiate the contents of each shaker. Add a rustic elegance to your table with this set of salad servers crafted of a durable plastic to resemble real twigs. Though created for one-time use, this set brings the same elegance of silverware to any table setting. A charming addition to the table, this dinner napkin is crafted of linen and finished with a colorful quince motif. Topped with a ceramic antler, this double serving bowl lends the table a note of rustic elegance.